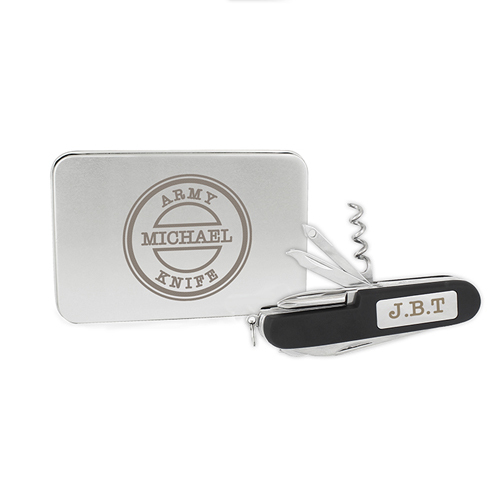 This black pen knife multi tool set comes presented in an Army Motif personalised tin. Personalise the knife with up to 3 initials and 3 full stops and add a name to the tin up to 12 characters. Blade measures approx. 5.3cm (2 Inches).